Ahmed Khan, a close relative, said on Tuesday that he passed away around 4 a.m. (IST). He said the last rites will be held in a Toronto cemetery later in the day. 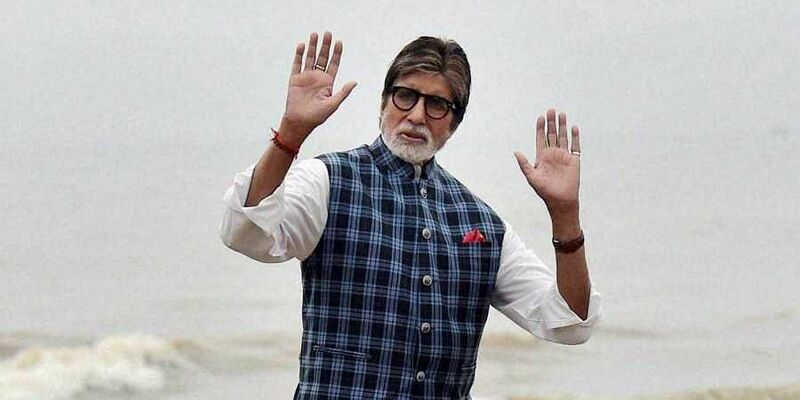 MUMBAI: Megastar Amitabh Bachchan has led tributes to veteran Bollywood actor-director-writer-comedian and a Quran scholar, Kader Khan, who died after a prolonged illness at a hospital in Toronto in Canada. Among various projects, Kader had contributed to several Amitabh-starring films like "Amar Akbar Anthony", "Muqaddar Ka Sikandar", "Laawaris" and "Coolie" as a writer. "Kader Khan passes away. Sad, depressing news. My prayers and condolences. A brilliant stage artiste, most compassionate and accomplished talent on film. A writer of eminence...in most of my very successful films. A delightful company and a mathematician," Amitabh tweeted on Tuesday. Actor Anupam Kher also hailed Kader Khan as "one of the finest actors of our country". The two had worked together in films like "ChaalBaaz", "Meherbaan" and "Bade Miyan Chote Miyan". "It was a joy and a learning experience to be on the sets with him. His improvisational skills were phenomenal. His humour was eternal and original. He was a wonderful writer. We will miss him and his brilliance," he tweeted. Kader Khan's death has left filmmaker Anees Bazmee feeling sad. "Had the privilege to work with him as a writer in 'Aankhen', 'Raja Babu', 'Shola Aur Shabnam', 'Bol Radha Bol', 'Mujhse Shaadi Karogi' and direct him in my debut film 'Hulchul'. RIP Kader Khan. You shall always be missed," he tweeted. Filmmaker Madhur Bhandarkar also felt sad to hear the demise of the "versatile writer, actor, comedian Kader Khan. He made us laugh and cry at the same time. He entertained us with his punchful dialogues. God bless his soul. RIP Sir". Writer-director Milap Zaveri quoted lines from Kader Khan's 1990 film "Agneepath" and wrote: "Huge regret that I never got to work with you. You were an actor par excellence but an equally brilliant writer. Still quote your lines from the original 'Agneepath' to people. 'Peeche nahi jaane ka. Peeche jaane se guzra hua waqt laut ke nahi aata'." Actor Manoj Bajpayee wrote on the micro-blogging site: "Rest in peace Kader Khan saheb!" Actor Arjun Kapoor described Kader Khan as "an actor and a writer who defined a generation". Kader, 81, is survived by his wife Hajra, son Sarfaraz, daughter-in-law, and grandchildren.